Today I am excited to announce a giveaway from Shabby Apple for a $50 gift card! Yes, I'm sure you have heard of Shabby Apple. They are that cute company that makes adorable dresses, swimsuits, maternity dresses, workout attire, accessories, etc. I actually have 2 dresses of theirs and a necklace and I love them all! let me know which Shabby Apple product from HERE is your favorite! Note: This giveaway is for US residents only. You have until Sunday, July 15, 2012 at midnight MST to enter! Winner will be announced Monday, July 16, 2012! I've liked Shabby Apple on FB and love the Oh, Baby! dress with the sweet swiss dot fabric. :) Thanks for hosting. I like Shabby Apple on facebook and I love the blue Eyes dress. and I'm following you on instagram! my favorite from their collection is this http://www.shabbyapple.com/p-1570-serenade.aspx simple yet elegant! I would definitely use it for the conservatory garden dress :) so pretty! I like them on fb and I like the gold bangle set. Following and liked!!! 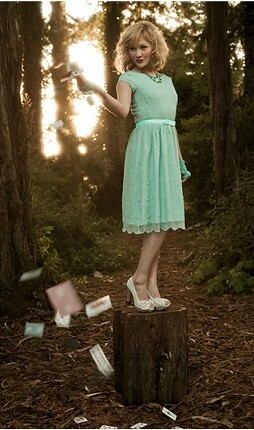 And I LOVEEEEEEE The new dresses from the Mad hatter collection. In navy blue and red. I like SA on facebook, and I love the polly hill dress. So classy. Shabby Apple=Liked! And my favorite skirt is the "Izzie" blue and green skirt. Freakin' awesome!! And I follow you on instagram! And i LOVE your pictures!!! I like Shabby Apple on Facebook. My favourite is the I'm Late! I'm Late! dress. I like shabby apple on facebook and love the elizabeth island dress! I follow Shabby Apple on Facebook and I love the all the dresses from the Mad Hatter collection. so so cute!! I like them on FB and love their "Ahoy" dress. I liked them on Facebook! I really like the Tulleries dress 'cause it's adorable! I like them on FB (Geraldyne R Vinas)! I liked them on Facebook, and I love the Tess skirt! I like Shabby Apple on Facebook and I love the Fork Tailed Devil Dress! 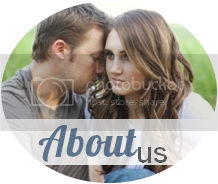 I liked Shabby Apple on Facebook. I love everything on the site... but my favorite right now is probably the "francine" pencil skirt with the feminine bow addition :) Perfect for my upcoming internship! I am following your blog through blogger. Not sure how to work GFC. I follow Shabby Apple on FB and my fave item is the Hyannis skirt from their lighthouse collection. I like shabby apple on fb and LOVE their dress "The Admiral"
And stripped skirt. I'm all over that baby. And I love the sweet spot swim suit! I already clicked Like on their FB page, and I'm sure everyone says this but my favorite dress by far is the Alice dress. So pretty! I follow you on GFC too girl! My favorite from their collection is the V.P. dress! I like shabby apple on fb and I like the sweet spot swim suit and the joy ride! I like Shabby Apple on fb, and my favorite dress is The Red Queen. i've followed you via GFC as KI IP. loveeee shabby apple! i'm obsessed with the "im late!" dress! and i follow you on twitter, too!! Awesome giveaway! I like SA on facebook, and I would totally get the Blue Eyes dress! Following Shabby Apple on FB. I love the Andes skirt! I liked them on FB. I like the Alice dress. I liked them on facebook and i like the i'm late! i'm late! dress.